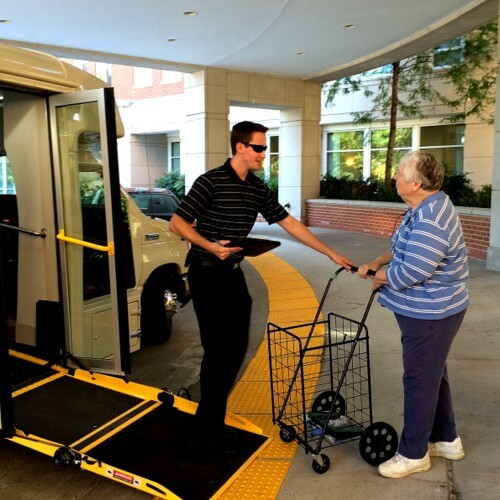 The GHBC Transportation Office, located behind the Reception Desk in the main lobby, can provide transportation as a fee-for-service for residents. Transportation for medical appointments is given priority; transportation for personal appointments can be provided depending on the availability of cars and drivers. This service is available Monday through Friday 8:30 a.m. to 5:00 p.m. Cars depart from the front entrance. To request transportation, complete and submit the form below. For more information, contact Transportation (new location at Reception desk) and Christy Clark-Bolden, cclarkbolden@goodwinhouse.org, ext. 7651. Waiting Fee of $15.00 for each 15 minutes that the driver remains with the resident at the medical appointment. Due to the limited availability of cars and drivers and high demand, residents are urged to request transportation well in advance of an appointment.